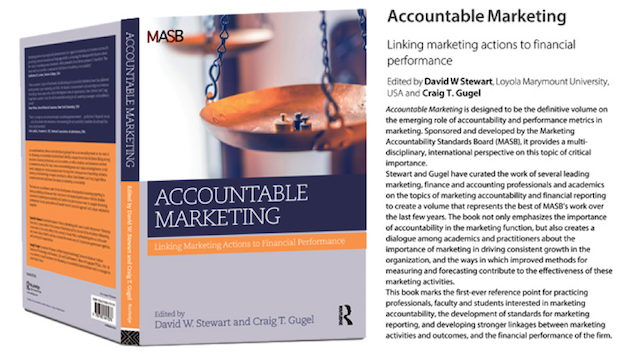 MASB, the Marketing Accountability Standards Board recently announced the publication of its newest book, Accountable Marketing: Linking Marketing Actions to Financial Performance (Routledge 2016). The book sets the stage for new working relations between Finance and Marketing and relates how fundamental change was initiated in the business community through collaboration across industry lines. Topics include marketing science and governance, brand preference, brand valuation, the long-term effects of advertising, social media and the Marketing/Finance interface. 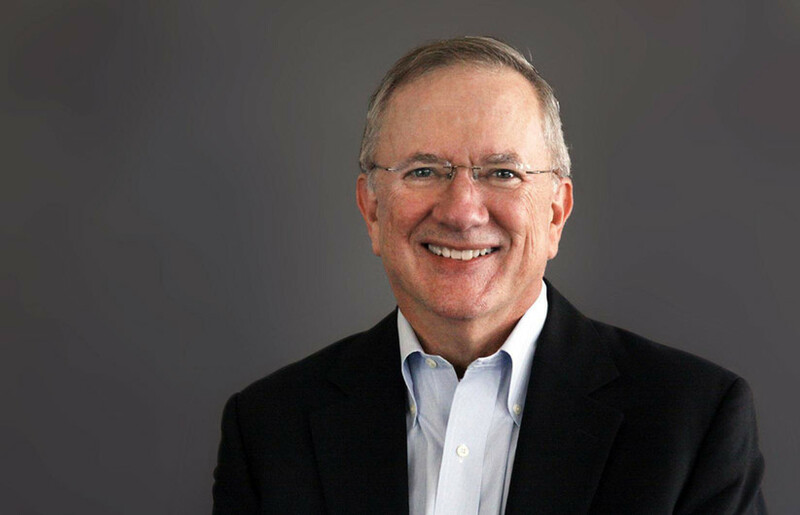 Jim Gregory, Tenet Partners Chairman, serves as an Advisory Council member to MASB and authored the chapter: Measuring the Value of Corporate Brands. We recently sat down with him to discuss the challenges of measuring the corporate brand as an intangible asset, and more importantly, how marketers can better understand and leverage the value of their brands on an ongoing basis. In the chapter you authored, you discuss how corporate brands are business assets, which can – and should be managed just like any other business asset. Yet, the CFO and the accounting world have been slow to adopt reporting methods that recognize brands as valuable assets. Why? According to Generally Accepted Accounting Principles (GAAP) internally grown intangible assets such as brands cannot be reported on the balance sheet, however, the dramatic growth of intangibles leaves a huge hole of unaccountable value. This creates a quandary for investors who are left to wonder whether brand-building activities such as marketing are working or whether they are a complete waste of money by the company making the investment. It also causes problems for the internal management of companies because the CFO is unlikely to support marketing budgets if there is no apparent value being created. It is a dichotomy that should have been solved decades ago, but it is priority number one for organizations like MASB. How does a corporate brand create value for consumers and investors in ways that are different from individual product brands? Product branding is when you are trying to reach one consumer with a message that will motivate them to purchase your products or services. Corporate branding is managing the company’s brand to create enterprise capital and future cash flows. Both contribute value to the company and can be measured and managed to evaluate their performance. What’s the first step a company should take to determine its brand value? Benchmark tracking how knowledgeable people feel about your brand on a consistent basis will reveal many important insights into how your brand is competing against peers. Data gathering will lead to crafting models for valuing the brand. We benchmark track 1000 major companies across 50 industries so if your company is sizeable there is a good chance they are included in our study. Our approach is fundamentally different from discounted cash flow models that use subjective guesses about the role of the brand. The purpose of building a corporate or product brand is to gain and sustain competitive advantage - and ensuring customers have a positive experience with you company or product is crucial. What are the key ingredients of creating and managing an exceptional customer experience program? Consistency. Consistency in what you say and do. Consistency in your company’s vision and mission. Consistency in your business and manufacturing process. And, always consistency in your culture and how you treat people. MASB is an independent forum that works to build greater accountability standards tied to marketing and financial performance. What is your role at the organization? I am on the Improving Financial Reporting committee of MASB. In that role I’m continuously trying to communicate with the financial community about the difficult bind that marketers face when the brand value should be accounted for in some manner – pharmaceutical companies account for drugs in the pipeline by listing R&D in the MD&A notes of annual reports, likewise petroleum companies list proven reserves in the MD&A notes. Why not put the corporate and product brand value in the MD&A notes? It would change everything without having to change GAAP standards. Accountable Marketing: Linking Marketing Actions to Financial Performance is available for purchase from Routledge. Order your copy today.